Vincent van Gogh: Undergrowth with two figures, 1890. Oil on canvas, 19 1/2 x 39 1/4 inches (49.5 x 99.7 cm), Cincinnati Art Museum. Vincent van Gogh’s (1853-1890) love of nature is well known from his exuberant landscapes of fields of grain, mountainsides, turbulent skies, orchard blossoms to the more humble vignettes of birds, butterflies and lilies. This masterpiece from the Dutchman’s late period was created in Auvers-sur-Oise, France, in June 1890. It is little known that the marvelous “Undergrowth With Two Figures” is a pendant piece to “Wheat Fields near Auvers,” June 1890, located in the Österreichische Galerie Belvedere of Vienna, Austria. Vincent documents the pendant artworks in a letter to his brother Theo, dated June 24 or 25, 1890. Vincent was to die a tragic and controversial death just days later on July 29, 1890. Today, I Require Art’s store opens. Eight premium prints produced with our exclusive print partner, Art Authority, of Ashland, OR. We thought you might like to read some background on each of the works now available. 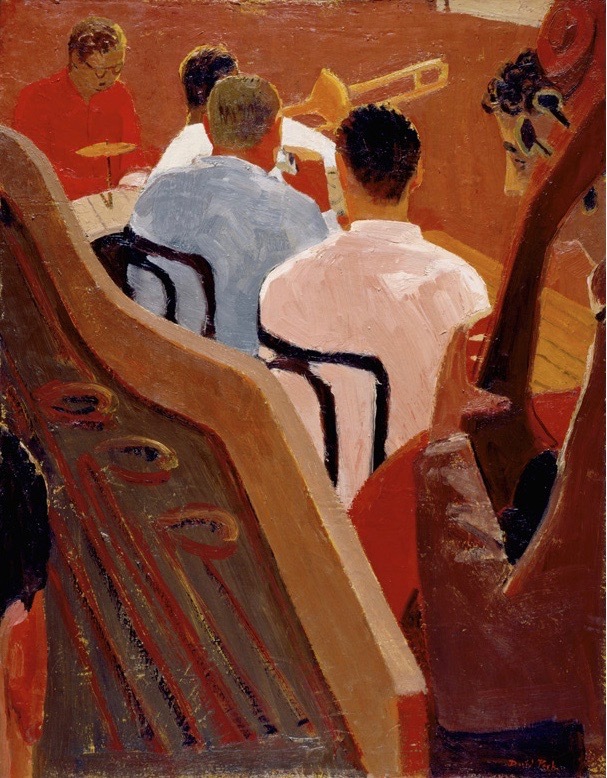 David Park: Rehearsal, 1949-1950. Oil on canvas, 46 x 35.75 inches, Oakland Museum of California. David Park (1911–1960), in 1949, decisively abandoned his work within the prevailing abstract expressionist art movement with a trip to the Berkeley dump. At the time, he was teaching at the California School of Fine Arts, now the San Francisco Art Institute. Park was the first to reassert figurative work and scenes from everyday life into his work. This artistic directional shift from the abstract to the representational, known collectively as the Bay Area Figurative movement, was later pursued by Richard Diebenkorn, Elmer Bischoff, Paul Wonner and others in the Bay Area. 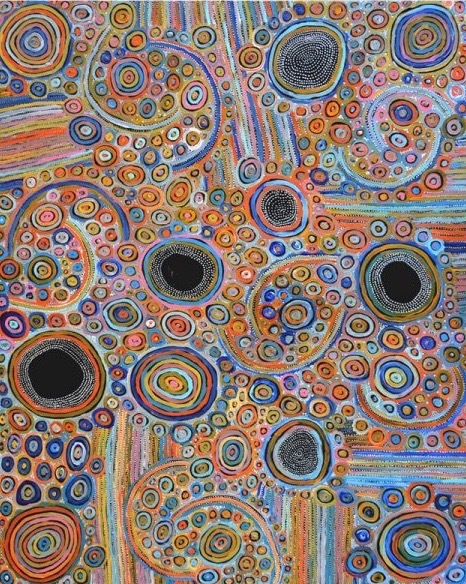 Pauline Napangardi Gallagher: Mina Mina Jukurrpa (Mina Mina Dreaming), 2017. Acrylic on Belgian linen, 152 x 122 cm. 1798/17ny. © Warlukurlangu Artists. Pauline Napangardi Gallagher (b. 1952), paints Pikilyi Jukurrpa (Pikilyi Dreaming) and Mina Mina Jukurrpa (Mina Mina Dreaming), Dreamings that relate to her land, its features and animals. At first glance, contemporary Aboriginal paintings appear to be straightforward abstract artworks, but they derive from the rich heritage of their forbears. Stories passed down over countless generations of their origins, traditions of body painting and notable geographical features of their territories translate into intricate, vibrant visual patterns. 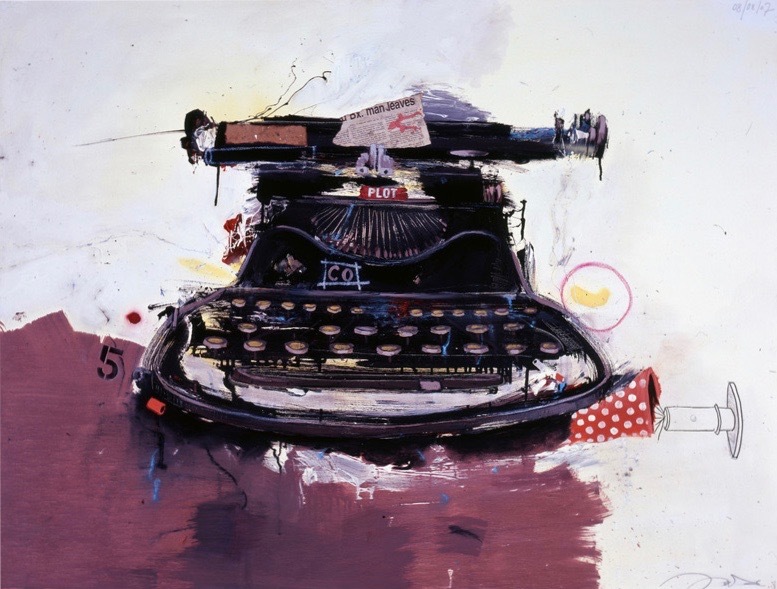 Marcus Jansen: Typewriter, 2007. Oils on paper, 14 x 17 inches. © Marcus Jansen. Jansen’s first museum introduction to Europe was at the Triennale di Milano Museum in 2016 where the artist was noted in the Italian press as one of the top ten shows to be seen in Italy alongside Basquiat and Monet. Jansen has also been referred to as “one of the most important American painters of his generation” by two time Documenta Kassel curator, Prof Manfred Schneckenburger in his recently published book “Marcus Jansen. Aftermath” (Hirmer Publishers, Munich). 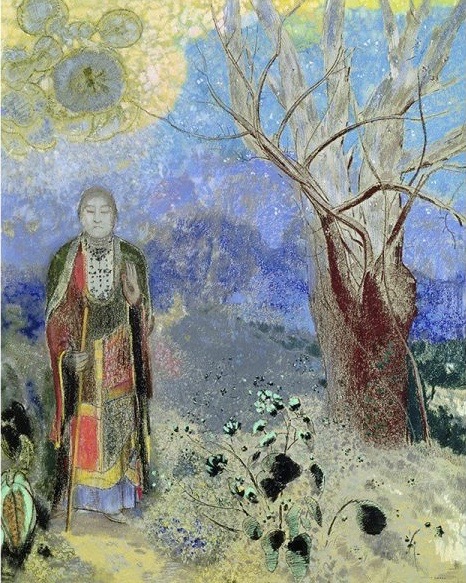 Odilon Redon: The Buddha, c. 1905. Pastel on paper, 90 x 73 cm, Musée d’Orsay. The symbolism of Odilon Redon (1840-1916) transports. His mind — magical. Whether roaming through the peculiar and compelling dark world of oddities in his “noirs,” or his later works of sublime floral vistas, the imagery of his subjective visions intoxicates. Late in his career, a number of works reflect a strong interest in Japonism and eastern religions, particularly Hinduism and Buddhism. Here, we see one of his several exquisite visions of the Buddha, c. 1905. 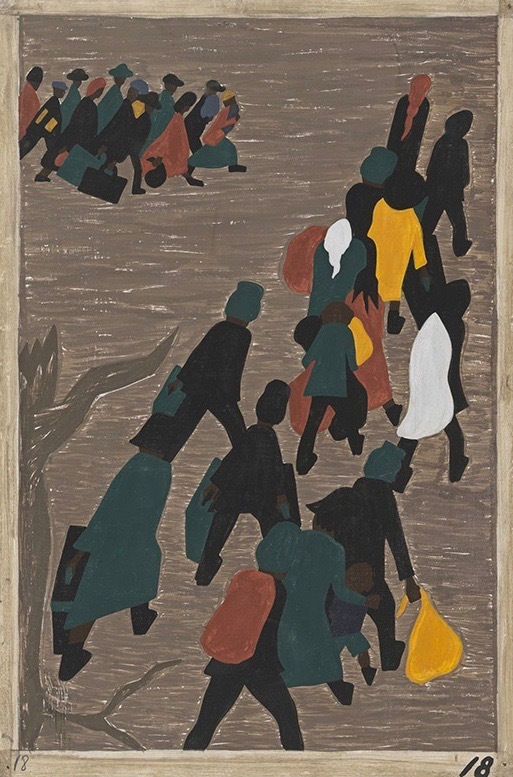 Jacob Lawrence: Migration Panel 18, Migration Series (60 panels), 1941. Tempera on gesso on composition board, 18 x 12 inches, Museum of Modern Art, NY. Jacob Lawrence (1917-2000), grew up in Harlem at a time when the neighborhood, stories of individuals and of a people, mattered. No doubt, this formative period during the Harlem Renaissance for Lawrence, as a young man and as an artist, charted his direction. He often painted in series. His Migration Series (1940-1941) of 60 panels is the story of the massive movement of over a million African Americans from the rural South to the urban North between World War I and World War II. The Museum of Modern Art has granted rare permission to issue a print edition of Migration Panel 18. 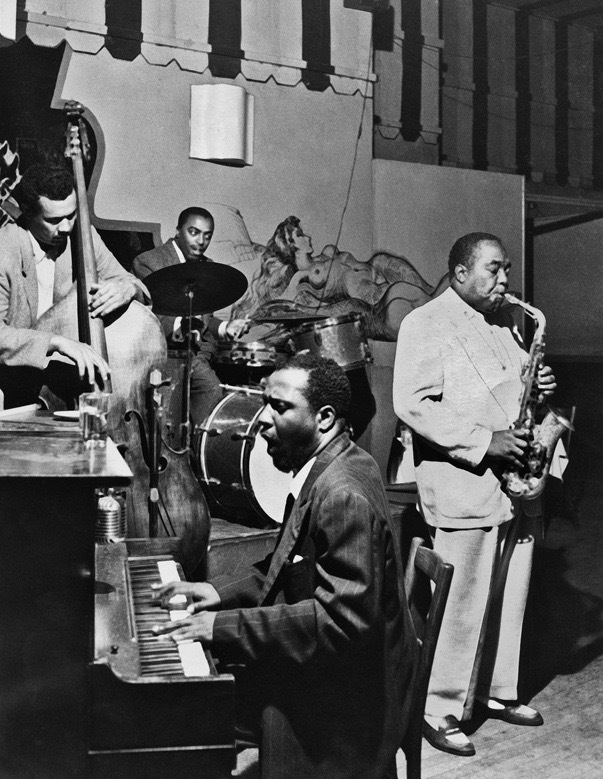 Bob Parent: Charlie Parker with (l-r) Charles Mingus, Roy Haynes and Thelonious Monk, The Greatest Night in Jazz?, Open Door, New York, NY, September 13, 1953. On September 13, 1953, bebop legend Charlie Parker, was on the bandstand at the Open Door in New York City’s Greenwich Village. Thelonious Monk, Charles Mingus and Roy Haynes shared the stage with the great Bird in what many have said was the greatest night in jazz. Bob Parent’s landmark photograph is available here. 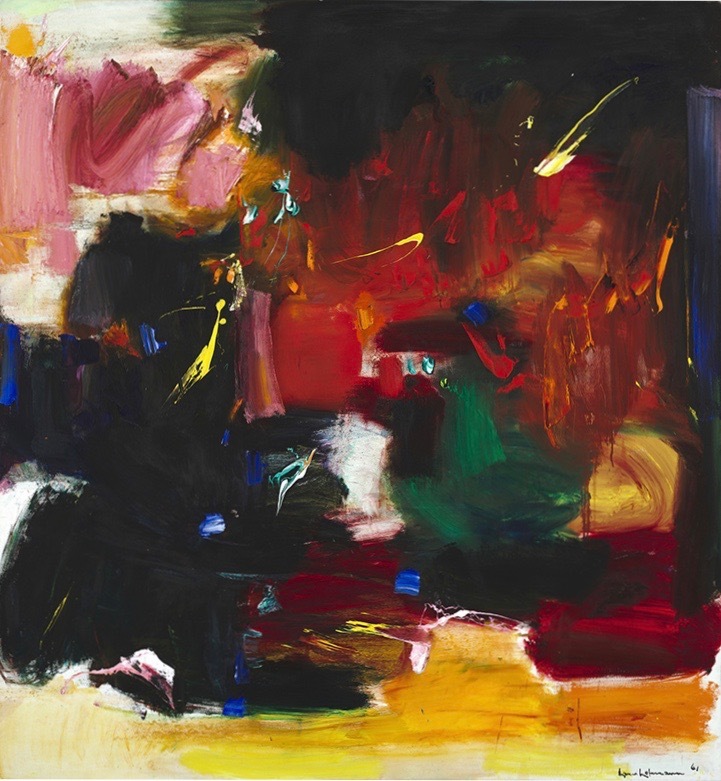 Hans Hofmann, Summer Night’s Bliss, 1961. Oil on canvas, 84 x 78 inches, The Baltimore Museum of Art. © Renate, Hans & Maria Hofmann Trust / Artists Rights Society (ARS), New York. Such a colorist! Hans Hofmann (1880-1966), notable as an abstract artist, influential teacher and author, is the progenitor of the “push and pull” technique of manipulating color, form and texture to create the illusion of depth, space and movement eschewing representational forms. All Rights Reserved, I Require Art Studios, LLC © 2018 Images on this website are copyright of their respective owners.